Trader Akihabara is Trader’s main shop in the neighbourhood and one of the most popular in Akihabara. 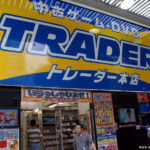 Trader is a second hand media shop with several outlets in the neighbourhood, well known for carrying large amounts of video games, retro games, movies and anime related CD & DVD at popular prices. 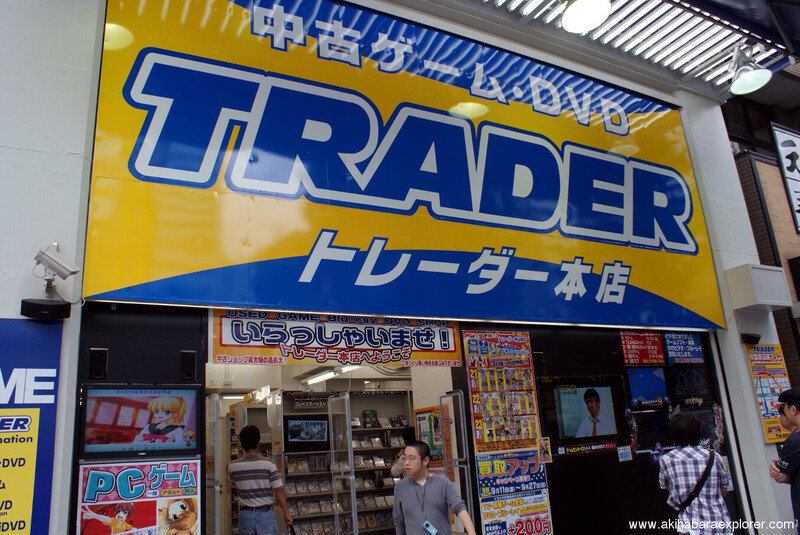 This is Trader’s largest branch and one of Akihabara’s largest second hand shops and always has an incredible amount of stock, even if existences vary very frequently, since they only sell used products and, thus, stock depends on what people are selling at a given time. Prices are usually very attractive, althpugh some rare and sought after items can be extremely expensive. This branch of Trader Akihabara is particularly well known for its video game and retro game selection, each of which have a whole floor dedicated. In terms of Retro Gaming products, one can find a wide variety of products ranging from the earliest 80’s systems, such as Famicom, Master System and PC Engine, to newer and high profile games, such as NeoGeo, Sega CD and 32X. In terms of current generation video games, Trader has a great stock of the newer and most popular video games at very attractive prices. Consoles are sold too in the same fashion.